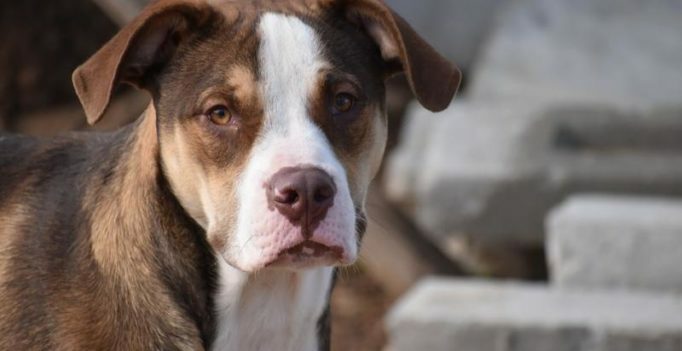 In a beautiful incident of animal-human bond, a pit bull dog is believed to have stayed beside a two-year-old autistic child during the time she went missing. The pit bull has been hailed a “hero” by the toddler’s family. Two-year-old Charlee Campbell disappeared around 10am on Thursday morning from her grandmum’s house in Lebanon Junction, Kentucky. While emergency services and volunteers were called who combed the woods in search for the toddler, it was not before 36-hours before she was spotted. The family believe her pit bull Penny saved her life by staying by her side the whole time long. In what seems to be much more than pure coincidence, the pitbull returned to his owners just a few minutes before Charlee reappeared. Talking to a media channel, Beth Campbell, the toddler’s grandmum said that the dog was their hero. The dog is believed to have guarded the child, who officials have confirmed is on the autistic spectrum, as she risked being exposed to all sorts of menaces. Bullitt County Sherriff Donnie Tinnell said that he was surprised that the youngster survived the ordeal. He added that they were coyotes in the hills along with copperheads, rattlesnakes and other dangers. The surprise at the toddler’s reappearance was mirrored by a chief firefighter, who branded it a “miracle”. The blonde and brown-eyed girl was reported to have no apparent injuries besides some scratches and tick bites.